Approximately 120 advertising benches are located at or near city bus stops and street corners throughout the city of Owensboro. This is a great way for passersby to learn more about local businesses and organizations as they drive or walk through town. All you need to do is provide us with a company logo and the wording, and then the Lions Club will do the rest. Rental agreements are for a term of three years. To learn more, contact Nicole Hawkins, Bob Glenn or any Owensboro Lion. 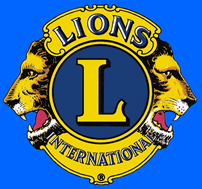 Proceeds from the Bench Program are used to benefit all Owensboro Lions Club charities.